Product Consist : Heart Shape Basket Arrangement of 30 Red Roses along with 10 Inch Cute Teddy Bear. 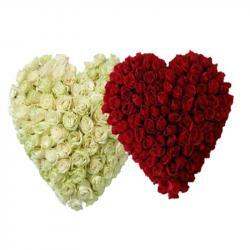 Lovely red rose heart shape arrangement is a bright and a beautiful way to send your love and affection across miles! 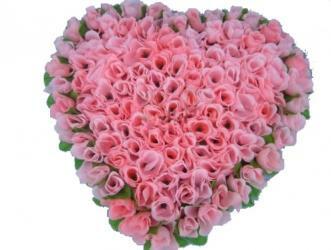 This is one gorgeous heart shape to create an incredible presentation to sweep your sweetheart off their feet. The lovely arrangement in a heart is a wonderful gift that any love one in your life will adore. Heart shape arrangement of thirty red roses with cute soft teddy bear with lots of green fillers. This unique and innovatively designed gift is the best to express your love and care for the special someone. The fresh and beautiful roses are best for all special occasions. 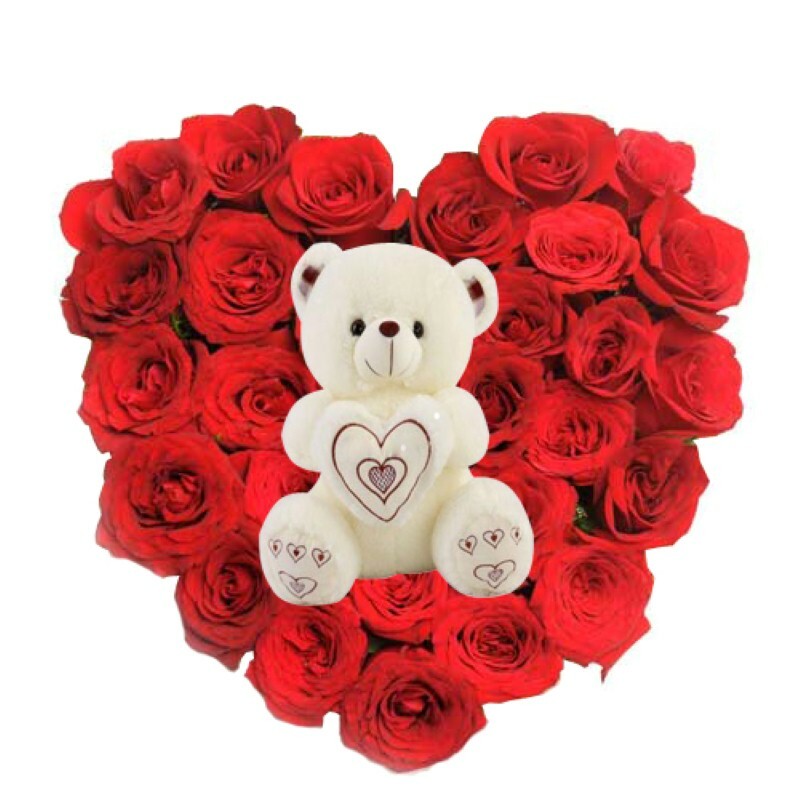 Product Includes Heart Shape Basket Arrangement of 30 Red Roses along with 10 Inch Cute Teddy Bear.